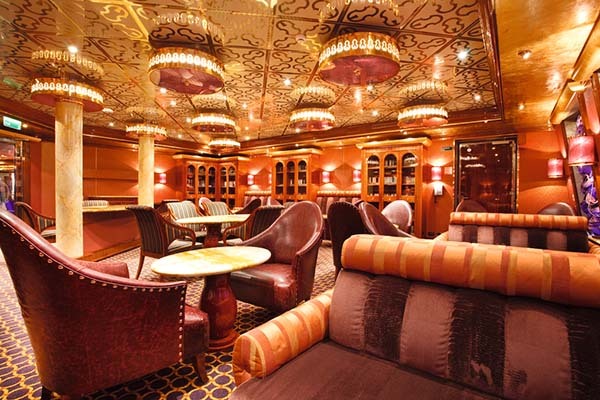 In the style of opulent Italian ships, Costa Fortuna boasts a glittering profile on the high seas. 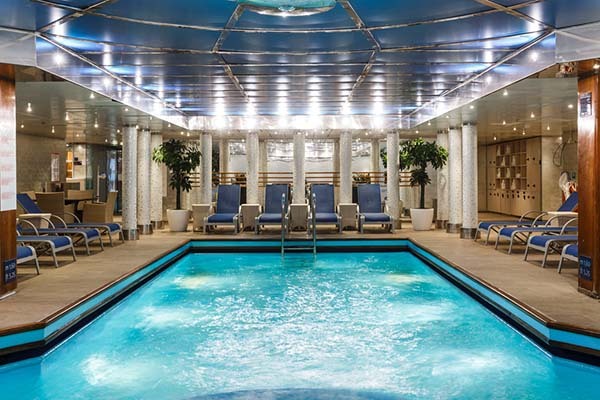 From the art and the wow-me grand atrium to the pool with retractable roof and the onboard casino, every space aboard this ocean liner is a cause for celebration. 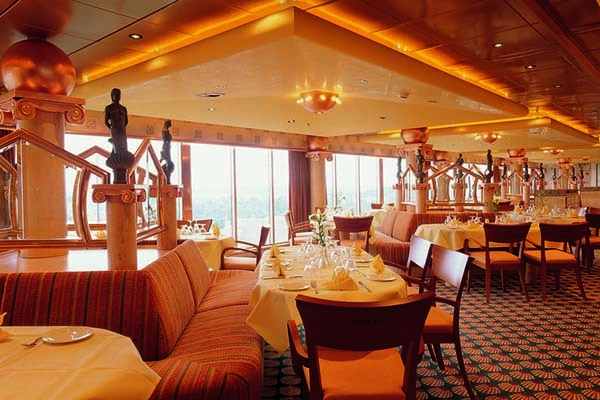 There are four main dining spots aboard Costa Fortuna, including the Club Restaurant, a specialty restaurant that serves up sumptuous cuisine by reservation only for a nominal fee. After a day exploring land, relax at the wellness center with Turkish bath and sauna, or take a dip in one of five Jacuzzis. 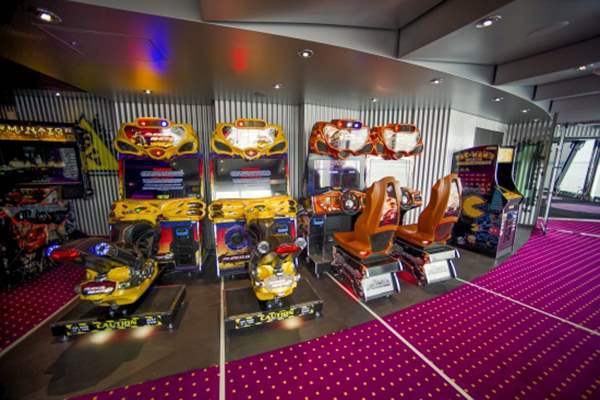 Want to be entertained? 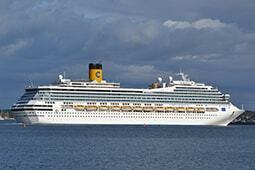 Costa Fortuna offers plenty of opportunities. 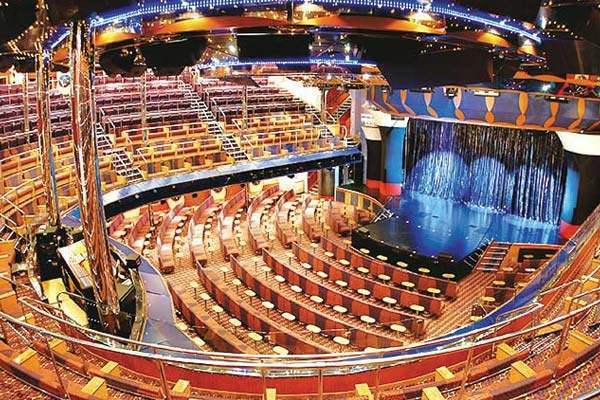 Chill with a beverage in one of eleven lounges, including the Cognac & Cigar Bar, or head to the three-level theatre for live performances. 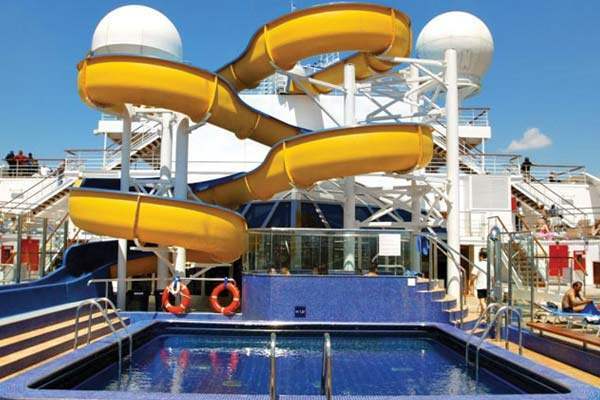 Both kids and adults love the waterslide, and there’s a kid’s pool just for the little ones. Reserve a part of your evening to bring your family to Broadway-esque shows that change every night. You'll be amazed by productions showcasing a meticulous attention to detail found in the costumes, sets, and talent of top-level national and international performers, all while you relax in a comfortable armchair and applaud the night away. 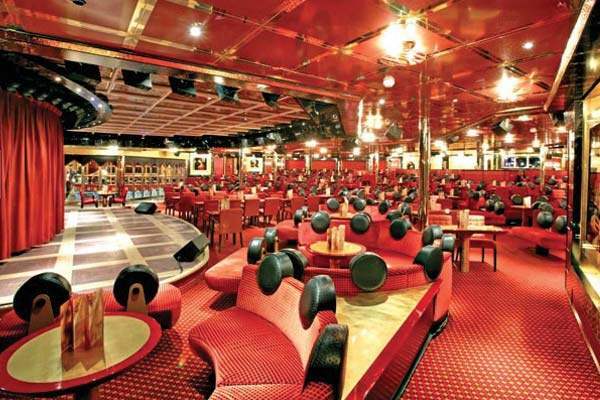 You may also even get a chance to shine on stage with Costa's talent show. 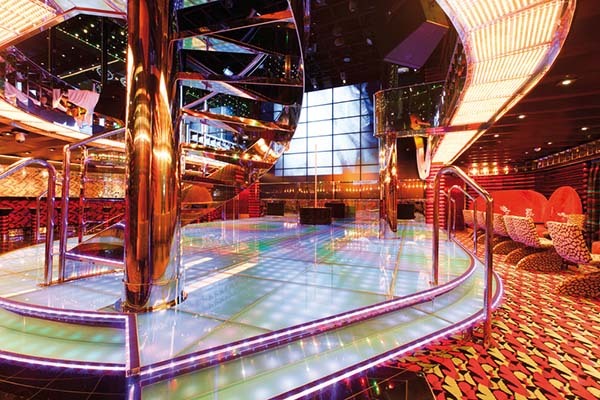 End a day filled with adventure with a night filled with rhythm at the onboard nightclubs. 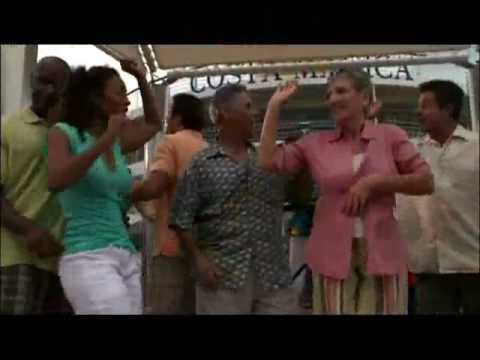 Dance away the hours of the night and watch the sun emerge over the horizon, ushering in a new day with your new found Costa friends. 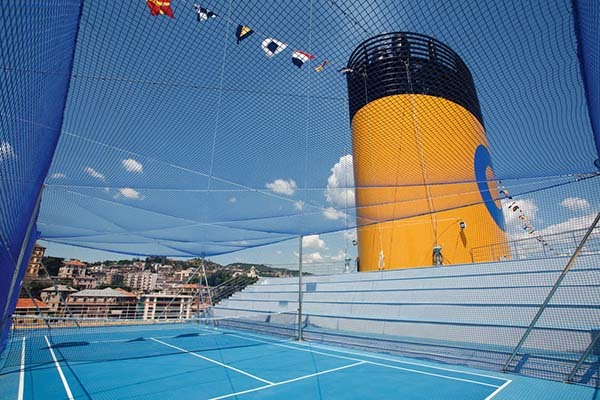 Get a group together and partake in a game of tennis, basketball, football, or volleyball onboard Costa's sports courts. 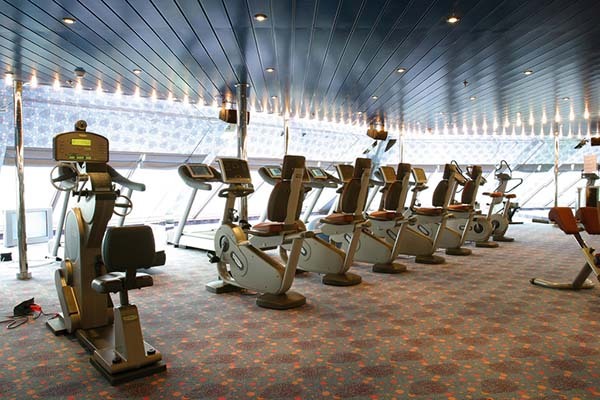 There are also various fitness classes offered by professionals to keep you engaged with fitness. 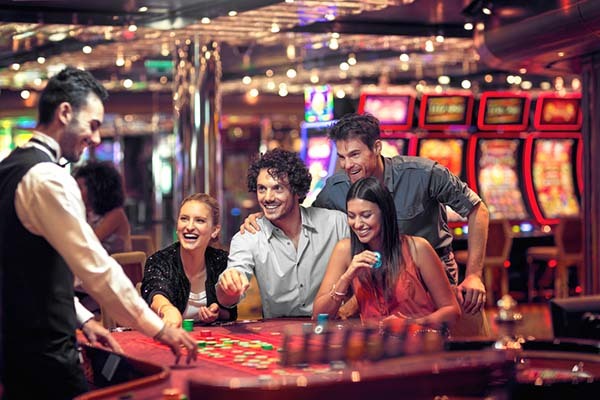 Come to the Casino onboard your Costa Cruise so you can test your luck and place bets at the roulette or blackjack tables, slot machines, and even Bingo games. 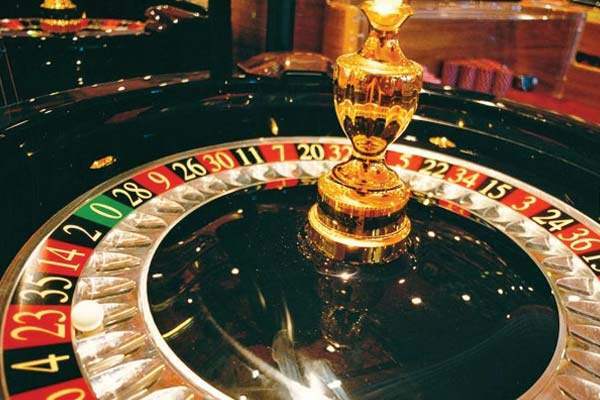 This is the perfect place to see whether your fortune lies on the side of noir or rouge. Costa brings Italy to you with pizza that is made strictly according to the original recipe. Try a selection of 14 pizzas from the classic Margherita, Napoli, Four Seasons, Calzone, and specialty cheese focaccia—all prepared onboard and made with natural extra virgin olive oil and mozzarella. You may even want to top off your meal with a glass of fine wine, beer, or a dessert. 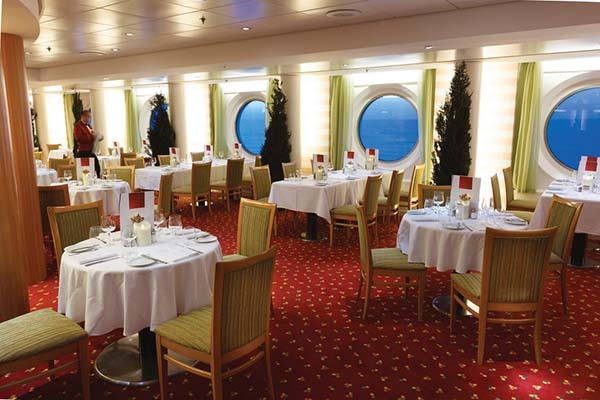 Start your day off right with either a typical Italian breakfast or a delicious international breakfast served in your ship's main dining room, the Classic Restaurant. Make your way back here for an impeccably presented dinner to engage your sense of sight as you savor an array of local gastronomic cuisine or famous Italian dishes like fillet of beef alla Rossini or a Sardinian fregola with fresh vegetables. You can choose to dine at the Self-service Restaurant for either lunch or dinner if grabbing a quick meal or arranging dinner plans with your fellow guests is more convenient for you. Enjoy a large spread of veggies, salads, pastas, meat, seafood, and desserts while large windows overlooking the sea set a picturesque scene. 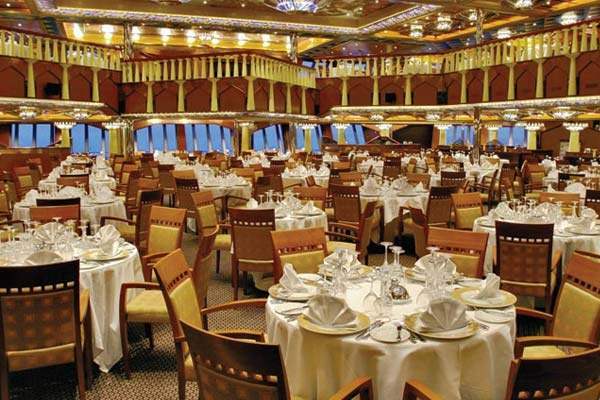 Waitors will be standing by to attend to your beverages and to clear tables. You may be far from land, but Gourmet Burger is gauranteed to impress with a hallmark American food made with Italian taste and passion. 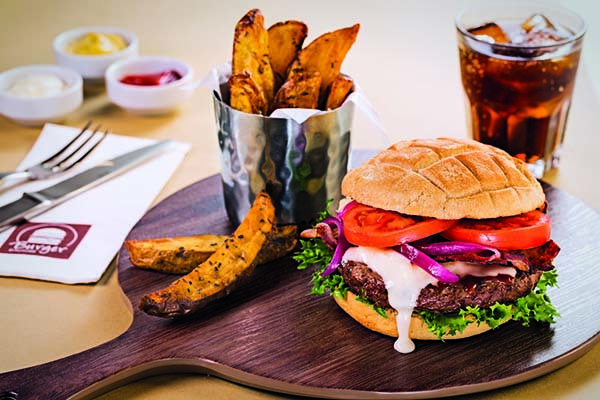 Served in the Self-Service Restaurant, you'll taste a burger made with Fassona beef and certified fresh vegetables and cheese, sandwiched between two delicious slices of bread, a side of crips fries, and a glass of Italian craft beer. 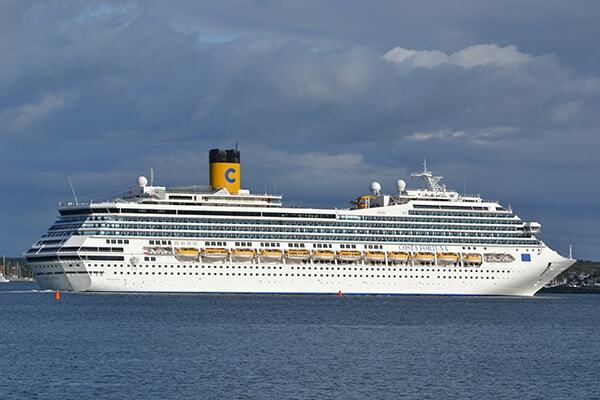 Onboard Costa, you'll find many opportunities to purchase a souvenir or a forgotten essential with their selection of shops. With everything from dresses to perfume, toothbrushes to batteries, Costa has what you need whenever you need it. 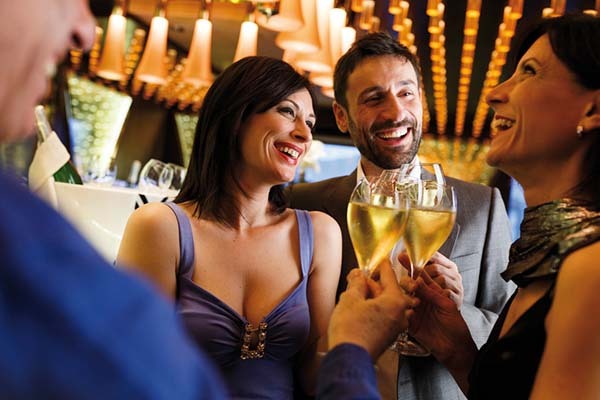 Find a spot in this classy corner of your Costa cruise and sip on a brut, rose, or demi-sec of Ferrari: an Italian brand of excellent sparkling wine. Views offered from the windows of the ship will accompany you along a wine tasting journey that affords you with a feeling of exclusivity. Indulge in some "you time" at Samsara Spa, where you can revitalize your physical and mental wellbeing. 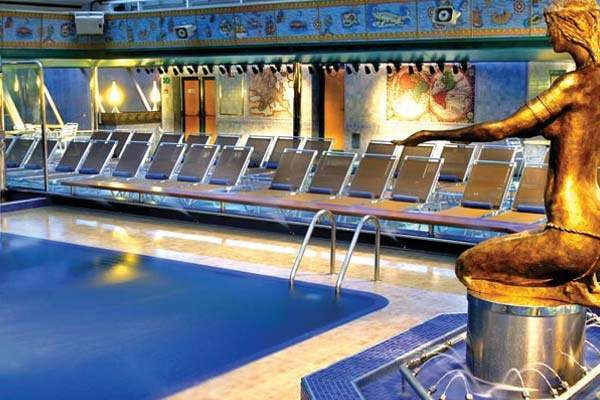 Wade in the gentle waters of a thermal and thalassotherapy pool or rejuvinate yourself in a steam bath or Finnish sauna. You will be sure to emerge from this sanctuary overlooking the sea feeling renewed. 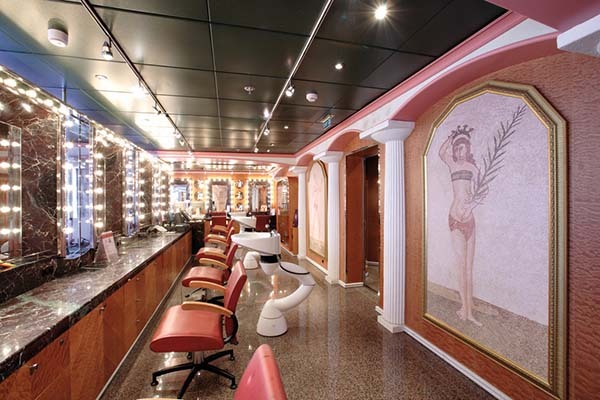 The beauty salon has everything you need to introduce you to the best version of yourself. Indulge in a variety of services like facial treatments, cleansing treatments, hair removal, hair dressing, manicures, and pedicures from sunrise to sunset. 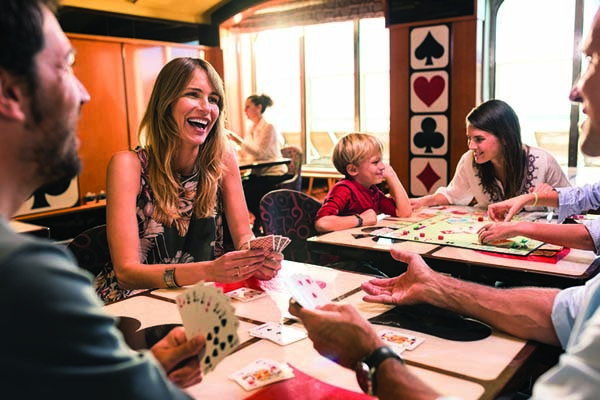 Enjoy a few hours away from all the hustle and busstle on the other decks to invite your friends for a friendly game of bridge or cards in the Card Room. Let your mind wander as you leaf through the pages of an enticing book found in the on board Library. A Costa vacation is as good for the body as it is the mind! 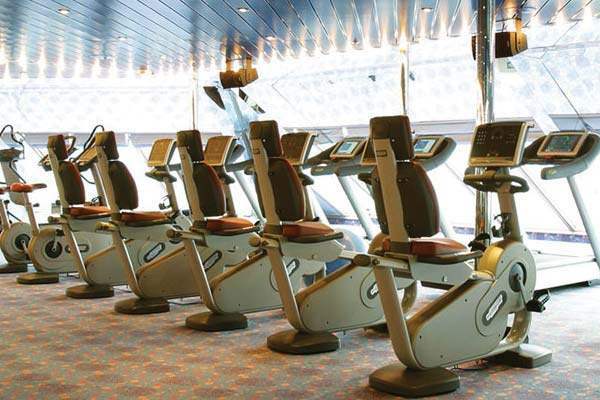 Visit their onboard fitness center equipped with windows overlooking the sea and state-of-the-art fitness machines. 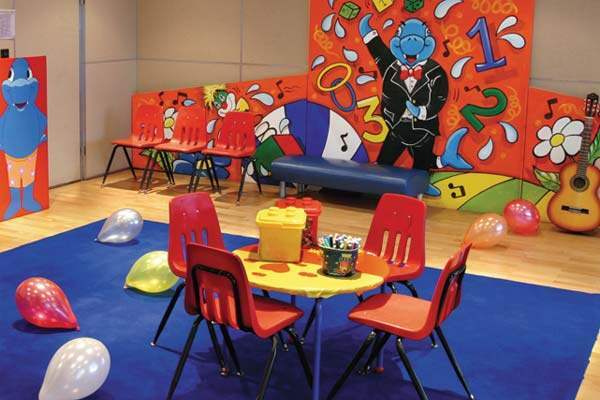 You may even take part in guided instruction from a personal trainer or in group fitness classes. 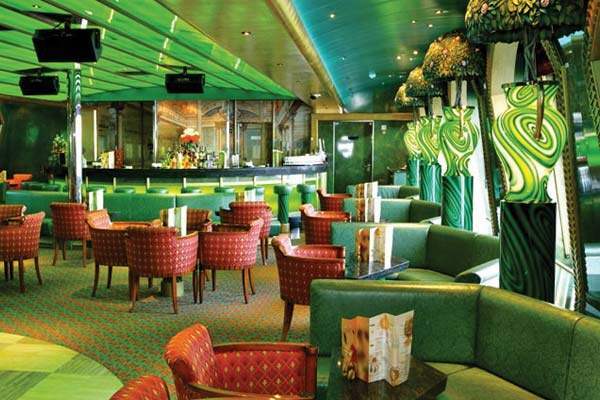 Enjoy a quick dip, entertainment, and drinks on the pool decks equipped with music, games, and small eateries. 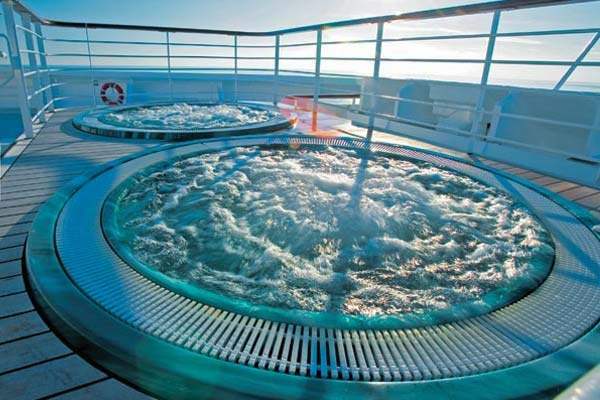 You can even relax in a stragetically placed hot tub while you let your children play freely because lifeguards are always on duty and keeping a watchful eye. 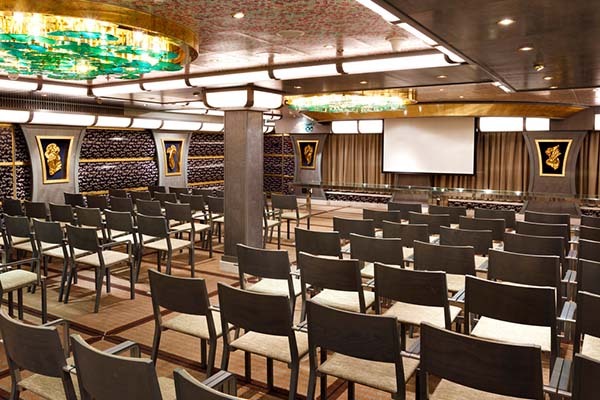 Costa provides on board Conference rooms for you to host your next meeting or event while drifting over the waves. It does not include travel protection, shore excursions, personal expenses, gratuities, specialty dining, wifi or alcoholic beverages. 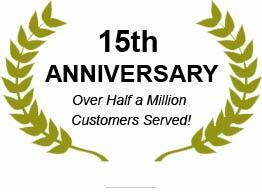 Book Today & Receive the Lowest Rate of the Season! Offer Terms: Offer is for new bookings only booked during the promotional period. All other charges, including, but not limited to, taxes, fees, and port expenses are additional and apply to all guests.Prices and Offer are subject to availability and change without notice, capacity controlled and may be withdrawn at any time. 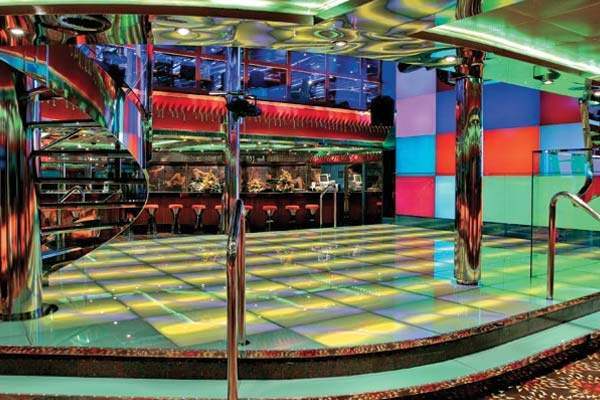 All qualifying cruise bookings must be booked and any required deposit fully paid to be eligible for this offer. 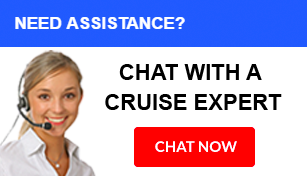 Deposit and final payment must be made in accordance with the terms and conditions of the participating cruise line to be eligible for this Offer. Offer applies to US/Canadian residents only. 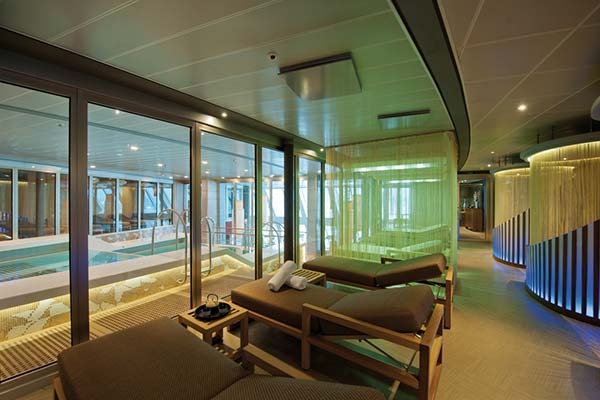 Choose from a variety of onboard amenities when booking your Costa cruise. Each category has it's own set of amenities from different drink packages to FREE in-room continental breakfast, and much more!